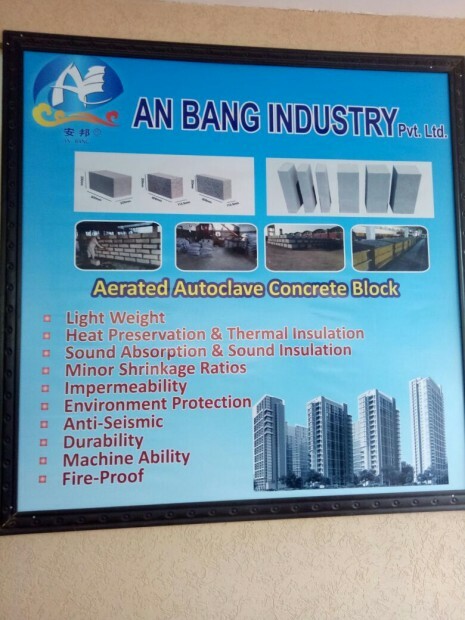 An Bang Industries (Pvt) Ltd.
An Bang group has been manufacturing and supplying building construction and insulation materil for a very long time in China and is considered to be well known company for producing aerated autoclave aerated blocks in China. An Bang has a close working relationships with both Chinese and Pakistani governments to play an active role in the infrastructure development of China Pakistan Economic Corridor (CPEC) w of modern which is intended to rapidly modernize Pakistani infrastructure and strengthen its economy by the construction of modern transportation networks, numerous energy projects and special economic zones. 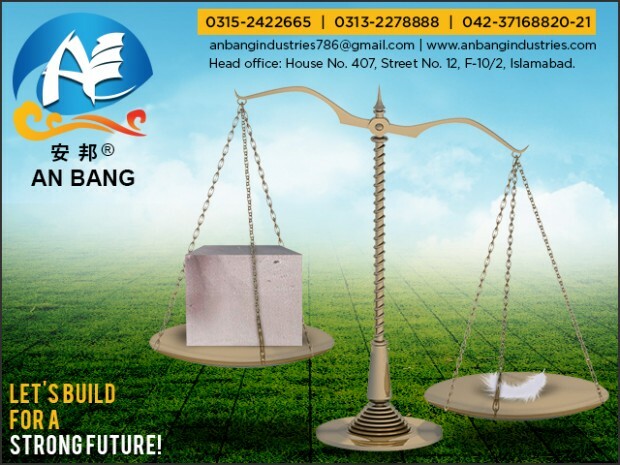 In order to become a vital part of this revolution in the infrastructure development in Pakistan, An Bang management decided to establish its manufacturing plant in Pakistan which is ready operational now. The factory is located in Tayyaba Indusrial Zone, Sheilhupura road, Lahore. 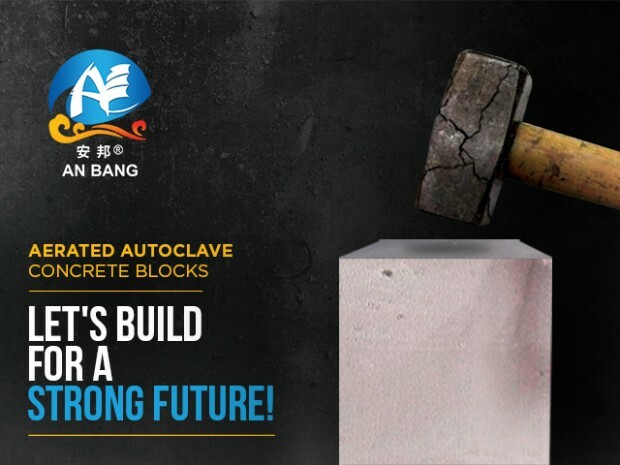 The factory area is spread over approximately 11,000 square meters and is producing AAC Blocks & AAC Boards which is intended to be enhanced in future. 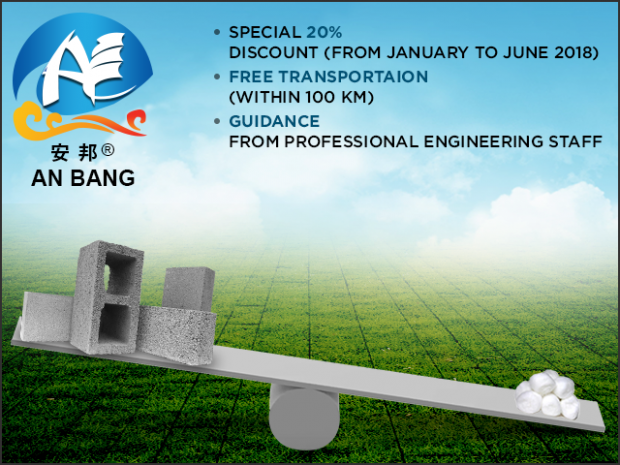 An Bang Industries (Pvt) Ltd. along with its partner W & K Pakistan (Pvt) Ltd. has an ambition to contribute in the developments of infrastructure in Pakistan. Tayyaba Industrial Area, Sheikupura Lahore Road, Pakistan. 407, 12 Street, F-10/2, Islamabad, Pakistan. 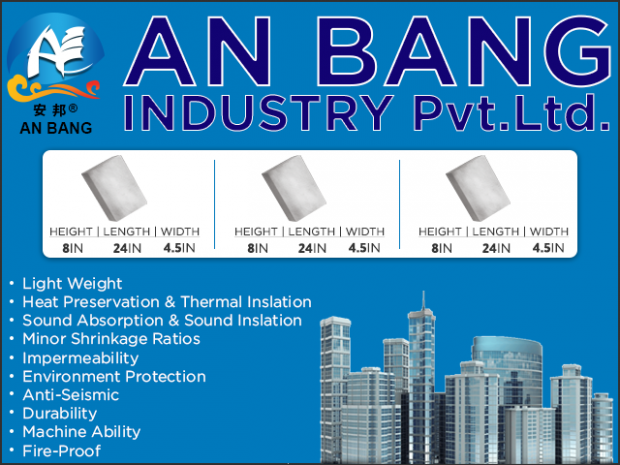 Contact An Bang Industries (Pvt) Ltd.